Emily is Away Too is a follow up to the original "Emily is Away", which I played almost two years ago to the day. I can't say that I enjoyed the more fleshed out sequel any more than I did the original, which at least had a lot more going for it in terms of novelty. I also am not sure that people were using AOL IM to talk about stuff like God of War, Juno, and Battlestar Galactica in 2007 or so when this game is supposed to be taking place...that technology was already being passed over by then, at least in the circles I frequented. One more to go before the year is out! I can attest that, at least among high school kids in the South, we were still using AIM. This could very well be a nostalgia rating, but I've always loved Cadash. It captured my imagination when I saw it in the arcades, and even though it's pretty simple overall, I still find it quite fun. I've beaten the Genesis and arcade versions, so this time, I put the Turbo EverDrive through its paces. To keep this short, the game is a little bit of Rastan, with actual RPG elements. Unlike the arcade game, you don't have a timer here, so you can grind if necessary. Unlike the Genesis version, you can use all the classes, too; the Ninja and Priest actually made it in. Good thing, too, because the Priest might just be the best character in the game. She has a spell that lets her tank quite a few hits, and a life restorative to boot. Of course, if you're using the barrier, you'll probably never touch the life spell beyond a certain point. She's that good. The graphics are pretty decent, surviving decently from the arcade. The localization is translated a bit better, but the last boss is... weird. Having this lord of darkness saying he's fleeing to fight another day, and "c'ya!" is just strange. Even stranger is him referring to the teachings of Carl Sagan about how the strong survive? What? So out of place. This is the only version that has that line, too. At any rate, fun stuff. Very much worth playing. Thumper is a rhythm game for Switch where you play as a metallic bug lasting down a tunnel at high speed. The designers describe it as a ‘rhythm violence’ game, and that’s understandable as you will feel beaten after pushing through a stage of this game. The game features pounding industrial music and bright flashes of colour, which combined with the games strict 2 hit deaths and long 30 minute levels (they have checkpoints, thankfully) create a sense of tension and exhaustion to the point where I’ve seen other reviewers describe this as a horror game. I don’t think that’s quite true, but I get the comparison. 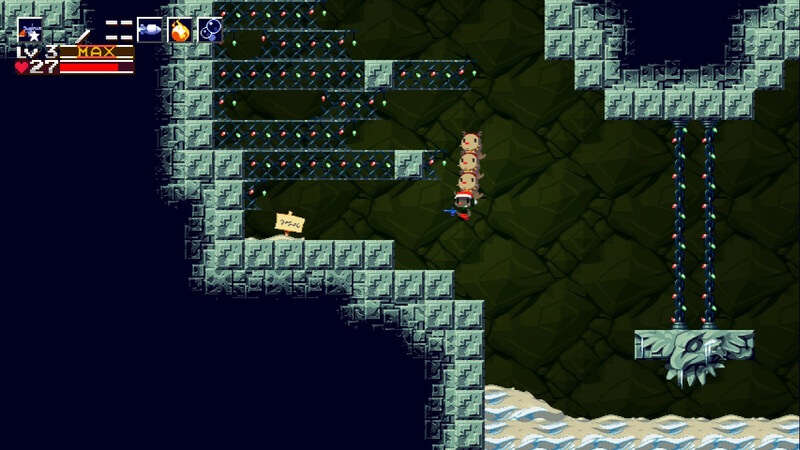 Whilst hurtling down the tunnel, you’ll encounter various obstacles – blue dots must be tapped with A, barriers must be hit by holding a as you pass through them. Corners have to be turned into whilst holding A, spikes must be flown over with A and up. A controls everything in this game, but the game is so fast paced, the turns and twists so hard to read, and the music so pounding and hard to track that the game is very difficulty indeed. 2 hits kills you,but you can recover health a few ways – it’s not common to do so though until you reach the next checkpoint, which early on are about 20 seconds apart but can reach up to 2 minutes by the end of the game. For me, Thumper was an interesting game, but one which became frustrating over time as the stages became more and more punishing. There seems to be a harder difficulty where one death is the end of the stage, and I say screw that. I don’t have the patience for it. Thumper is quite an experience, but if you want to try it, I recommend waiting for a sale. 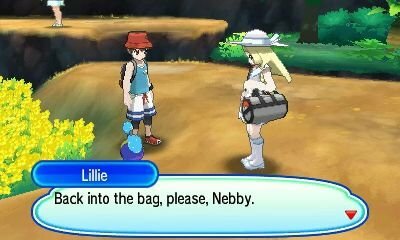 I went into Ultra Moon having not looked up much about the game. I was hoping to find a ‘sequel’ experience along the lines of Pokemon Black 2 or White 2, but instead this is more like the ‘3rd versions’ of old – Crystal, Emerald, Platinum, where there’s new stuff to find but it’s fundamentally the same game as the original Moon. For new stuff, there’s some new story elements which build upon the idea of the ultra beasts and travelling through wormholes, plus some changes to the games totem battles, available pokemon and the introduction of move tutors to teach pokemon different attacks as you progress. Honestly, it’s hard to recommend Ultra Moon if you already own Sun or Moon version as is – it’s quite weak in terms of how much new stuff there is to offer. However, if you haven’t played the original or you’re looking to experience your first game in the series, this is a fantastic entry that’s one of the best places to start. P.S. to the few of you who play Pokemon games and care, my team was Ribombee, Honchkrow, Jynx, Cradily, Palossand and Togedemaru. 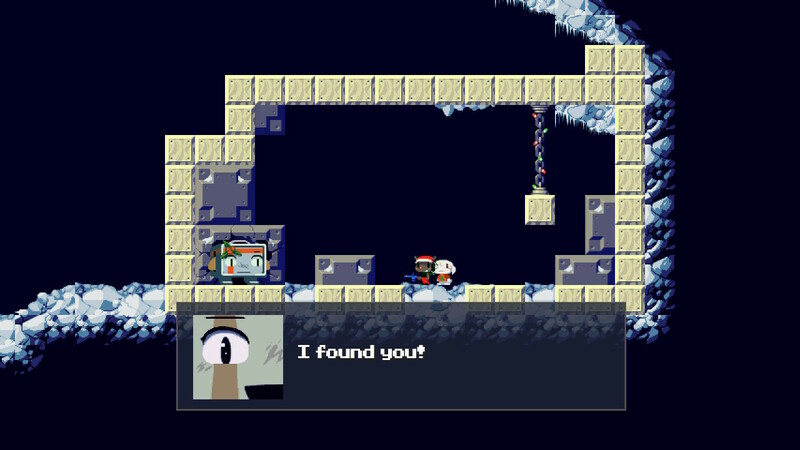 Cave Story is a game I’ve played before on WiiWare, but only once, so when I got given this version for Christmas I decided to play through in a slightly different way. The first time I played through I grabbed the Machine Gun and Booster 0.8, so this time I deliberately made some different choices – I grabbed the Spur weapon, plus the Booster 2.0 and saved Curly. This meant I got access to a new version of the penultimate dungeon and drastically changed some of my playthrough prior to that too as the Machine Gun had been my weapon of choice before. The Spur was much better for the endgame stuff though, and this run was easier. 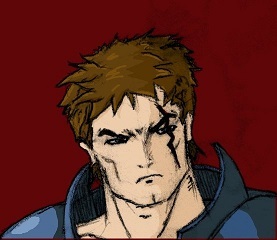 That is until I accessed the secret final dungeon, the blood soaked sanctuary. That is a brutal gauntlet of instant death spikes and aggressive enemies and after throwing myself at it fruitlessly for a few hours, I created a save file just before it and went and got the normal ending instead. I’ll have to come back to the final challenge another time. 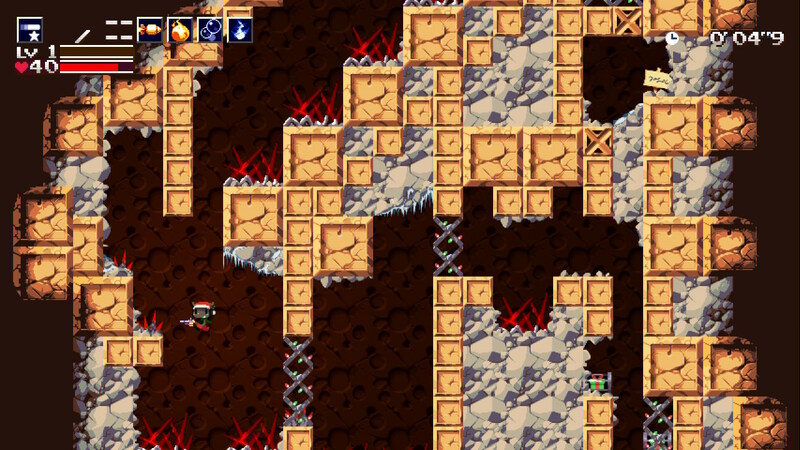 Anyway, Cave Story is still as good as it’s ever been, which is to say it’s pretty darn good. Playing it on Switch feels like a natural fit, so this is a great version to buy if you don’t own this game 10 times already, or maybe if you do. Also, because I played this near Christmas, all of my dudes are wearing santa hats, so that's cool. 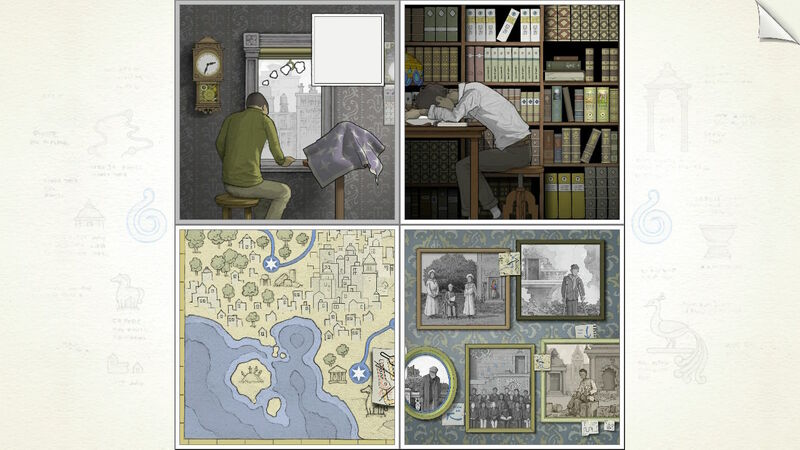 Gorogoa is a pretty intriguing puzzle game for Switch and mobile devices where you literally piece together a story out of beautiful artwork, manipulating the perspective in order to solve puzzles and progress the story. The story itself is intriguing but hard to follow, it’s all very artsy and beautiful though. You have four panels within which you can move different images around. Some images can be zoomed in and out of, or you can shift the perspective through a doorway, or upwards to see what’s out of frame, or whatever. Sometimes you can pull a shape off of one image and overlay it on another – for example, placing new scenery over a door so that when the character exits the door he is suddenly in a new environment. 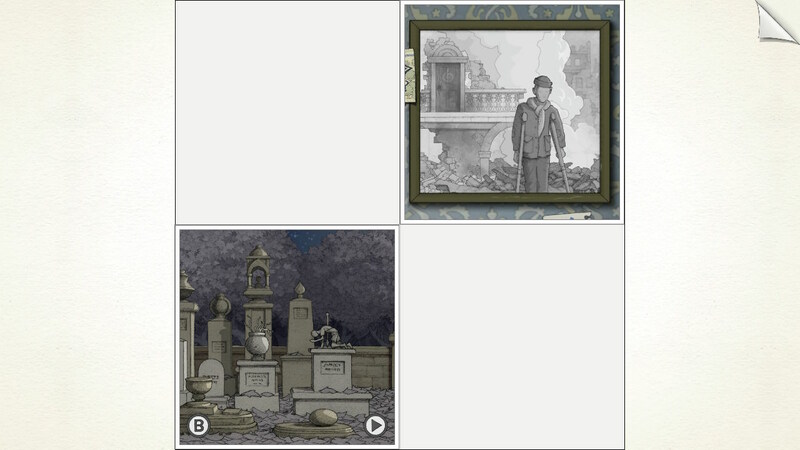 Some panels simply move when you replace them in a different part of the square, whereas some reveal new parts of the image when you move them too. Using images in new ways is the name of the game, with flowers turning into cogs when aligned correctly and more. The game is big on thinking how something could be something else – for example, at one point in the game your character is on a tram, and you can view the tracks from a top down view. Early on you use a trellis as part of the track by aligning it with another image to move him to a different station. However, later, that same track can be used as part of a ladder to reposition the character in perspective within the environment. It’s all very clever and very satisfying. Gorogoa is a intriguing, interesting and enjoyable experience, but it is relatively easy and very short, at about 1.5-2 hours long. However, I had a great time playing through it and highly recommend it to anyone who might be interested. 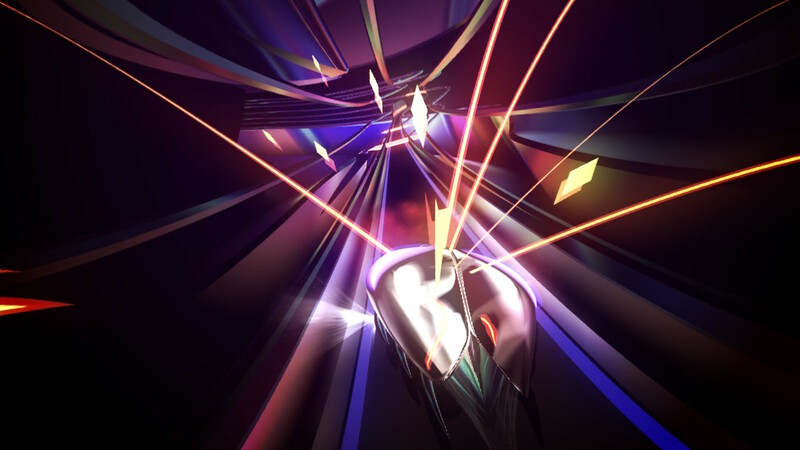 Thumper in VR is one of the most spiritual experiences I have ever had. Glad to hear some of that translates to the small screen! Gorogoa is a great game, but I can’t see spending $15 to play it on Switch when you can get it for $5 on mobile. Does the game use any of the Switch’s hardware or features in a compelling way to compensate? dsheinem wrote: Thumper in VR is one of the most spiritual experiences I have ever had. Glad to hear some of that translates to the small screen! 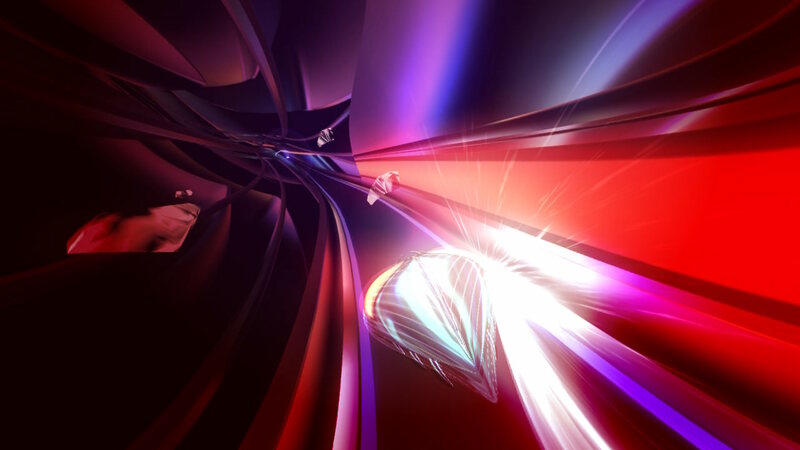 Thumper seems like it would be quite something in VR. My issues with it are mainly based on game mechanics, but I can imagine feeling more forgiving in such an immersive environment. I haven#t had a chance to try PSVR but I hear it's got a slightly blurry resolution . That seems like it could be detrimental to Thumper, did it cause any issues for you? I'd love to get the PSVR but it seems kinda gimmicky to me for the price. I'll get round to it one day. Unfortunately, the Switch version of Gorogoa doesn't do anything more interesting than the mobile version mechanically. You can play with the buttons but I think using the touch controls is the better option still. I don't feel very attached to mobile phones and mobile experiences though, so I just sucked it up and paid the extra to have it on something that felt more 'real' to me, as dumb as that may sound. Sorry for the double post, but it's time for fun stats! - Note: 9 of my 10 Switch games were beaten in handheld mode, and 1 in console, so I split these that way. Electric Highways is a trippy game that is part first person puzzler, part walking simulator, and part platformer. I really dug the work here: the soundtrack matches up to the visuals perfectly to create an unnerving experience and it is an hour or so well spent if you like "experimental" indie fare. Since starting to keep track 8 years ago, I have now beaten 700 games!! This was a little bit of a low total for me...it was also the least amount of retro games I have played in any one year since keeping track. I shared some thoughts/numbers about that here. This year only about 14% of what I beat could reasonably be considered "retro". Best game I've finished that was released this year: Horizon: Zero Dawn topped the list, but it was close.